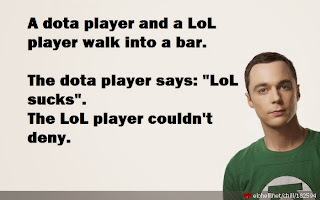 Dota 2 or League of Legends? That´s the neverending question I hear all around me. These 2 games are the most played MOBAs in CZ&SK. But a casual non-gamer would have a hard time telling the difference between these two games. Both came from at least spiritually from the popular map of Warcraft III, Defense of the Ancients and are representatives of MOBA (Multiplayer online battle arena) games genre. Why I wrote this entry? As i am playing both games on my streaming channel bogs.tv/DATgermia, i get a lot of similar questions to: What MOBA is better, what i like about each game, what is a better game for a beginner, or if i can explain, how do these games function. So even these games are not my cup of tea and i admit i am not good at playing it, i decided to write this entry to answer these and more questions and help you to choose a game from these two, that suits YOU better. Both games are FREE-TO-PLAY and offer a lot of (mainly cosmetic) microtransactions. The goal of both games is the same: You have to destroy the base of your enemy before the other team does. You choose your hero and fight against other player´s heroes and computer-controlled monsters. You have to earn gold and experience to buy items and enhance your skills, that make your hero more powerful. The map is divided into two trinagles by water, that are connected with three lanes, monster-filled jungles with smaller paths. Each lane has two lane towers and each base has 5 towers with three barracks, that produce friendly monster in waves. 1) Map is larger, more detailed and divided in different height levels. The "Radiant" (good guys, 1st team) side of the map is a flourishing bright forest, the other side of the map ("Dire" side = bad guys, 2nd team) is a wasteland without green spots. The map is divided by water. In the water, there are two places, where the runes (double-damage, haste, regeneration, bounty, ...) can be spawned. 2) Friendly monsters = creeps. 3) Your base = ancient. 4) Game characters = heroes. 5) Monster spawning structure = barracks. Barracks cannot be revived. 6) Guarding towers = towers. 7) Guarded spawning area = fountain. 8) More realistic graphical interpretation. 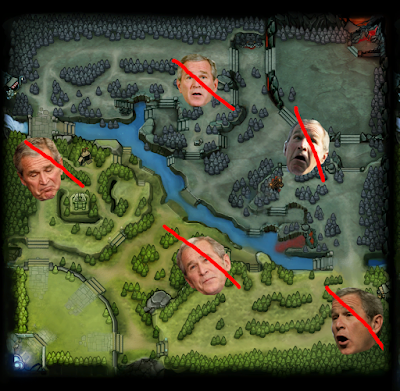 10) You can deny (kill your own) towers and creeps and sometimes yourself (suicide) to reduce the experience and gold gained by the opposite team. 11) You lose money, when you die - the game punishes you for bad performance. 12) You´re able to buy your items and still remain on your lane if you buy a courier or visit the side-lane shops or secret shops. 13) Minimalistic user interface for you skills (only a little graphical indicators of reach, spread or placement of your spell). 14) You are able too see everywhere in your reach or on the places you have your wards placed. 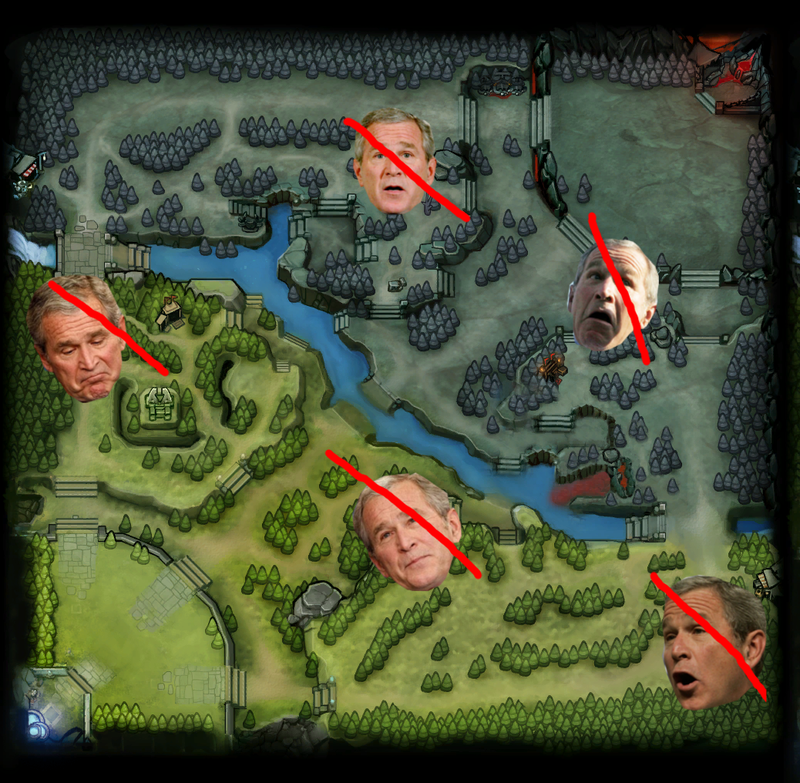 Wards should be placed on strategic places like by runes, Roshan, jungle crossroads or higher places marked on the map. 15) All heroes are free to play for everyone. 16) Microtransactions in game could be used only to buy cosmetic items or point boosters (to gain your profile (not ingame) experience faster). 17) There are no items you can own prior match starts, that could give you a better chance to win. 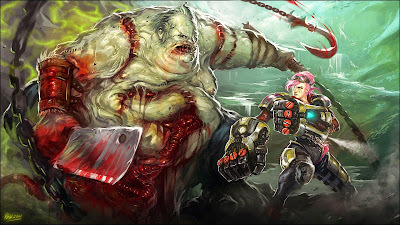 18) There is one main neutral monster in the game (Roshan), that drops 200 gold to each player (and more for the one, who did last hit) and the item (Aegis of Immortal), that can revive a player from death within 5 minutes after picking it up, or the item Cheese (3rd time of killing the Roshan), that can restore your health and mana. 19) Max level of your character is 25. 20) You can play on only 1 map, if there are no special events. 21) There´s a buyback possibility if you die. 22) There is an armory (inventory) in Dota 2, where you can equip your hero with items or item sets, that you can combine freely and most of them sell on the steam market. 23) There is a possibility to design a new item in Dota 2 in Steam Workshop, that could be put in game. 1) Map is a forest on both sides of the map. There are a lot of monsters in the forest, you can kill, that give you money and different abilities. 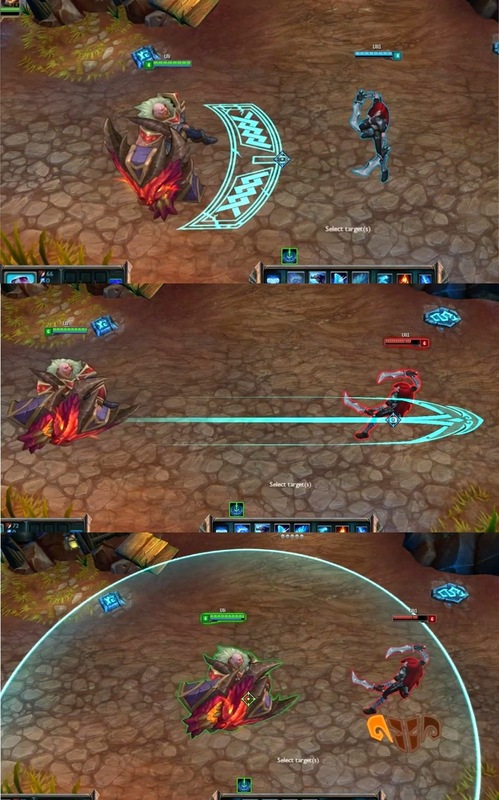 That´s one of the reasons, jungling (having a hero, that fights against neutral monsters in forest) is so much more important in LoL than in Dota 2. There are no side-lane shops or secret shops in LoL. 2) Friendly monsters = minions. 3) Your base = nexus. 4) Game characters = champions. 5) Monster spawning structure = inhibitors. Inhibitors can be revived. 6) Guarding towers = turrets. 8) Slightly cartoonish graphical interpretation. 9) By playing you can choose from different roles and builds: AD (champion build - damaging by auto attacks), AP (champion build - damaging by making spells), jungler (champion role -earning money and XP playing in the jungle and killing the neutral monsters), tank (champion role - taking a damage, defending the carries), support (champion role - helping carry by stunning the enemy, deflecting attacks, healing). 10) You cannot deny a creep or tower. 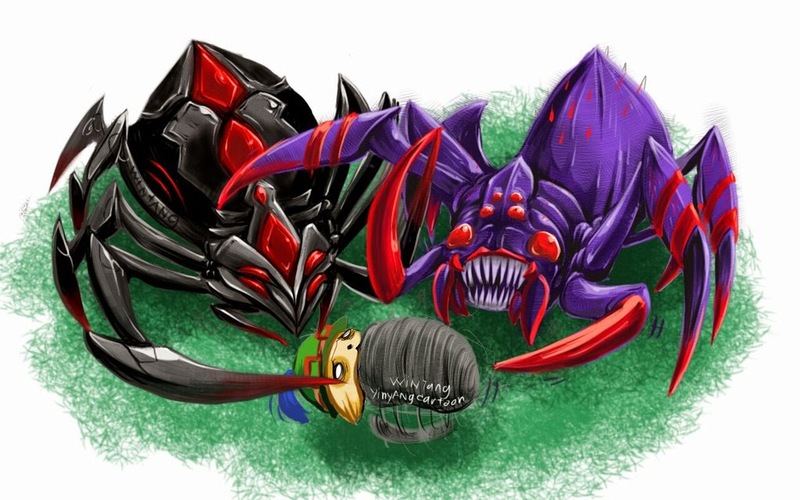 The only way to gain money is to last-hit the minions or enemy champions, so the game is based more on farming than Dota 2. 11) You don´t lose money, when you die - the game is more friendly to beginner player by not taking money from them, when they die. 12) If you want to buy any items, you have to return to your base using a teleport spell or running back. 13) Very user-friendly interface for your spells. You could see the animation of the reach, spread or direction of your spell. 14) You are able too see everywhere in your reach except of bushes. 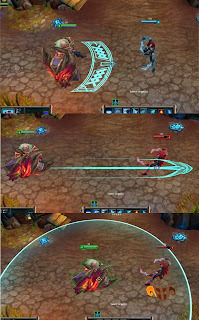 So it´s important to place your vision wards into bushes and not onto strategic places (Roshan, runes) like in Dota 2. 15) All champions are free to play, but you have to wait on their rotation in the system, or buy them with real money or with the points you earn by playing the game. 17) There are features, that can give you an advantage against a new or starting player. You can own runes, more champions and masteries points prior match starts, that could give you a better chance to win. 18) There are two main neutral monster in the game: Baron and Dragon. Killing a Baron gives you experience and a buff inceasing your powers, killing a Dragon gives you a lot of experince. 19) Max level of your character is 18. 20) You can play on 4 maps, if there are no special events. 21) There´s no buyback possibility if you die. 22) There is no armory or inventory of your skins. If you own them, you can choose from them prior starting a game, but you can choose only from splasharts with no preview. Furthermore you can´t trade your skins or sell your skins, they stay on your account forever. 23) There is no possibility to influence or somehow design skins put in LoL. If you´re starting to play MOBA games, you´ll face a lot of problems as a beginner. You have to learn not only the gaming mechanics, but face a real multitasking, learn the hero spells, time rules, items and item+spells combinations and a lot more. But which problems do you have to face, if you´re already a player of one of these games and you want to play the other one? - You feel safer on a map without bushes! - There are no limitations for you - you can choose every hero you like! Orientation in heroes i easier, because every customization respects the heroe´s nature and color scheme. You have the in game camera nearer to your hero than in LoL. The field of view is narrower, smaller. The minimap position and size sometimes inflicts a misshap by you clicking accidentally in map, when you want to flee form the battlefield and this click in the map returns you back. - If you start playing LoL as a total newbie, you cannot choose any champions you like (they cost points, that you can earn in the game or real money), but you have to choose from a few champions, that are free and these rotation chamiopns change every week. - From my point of view, I had problems orienting in spells/skills of the champions. LoL champions depend more on combination of skills (Cassiopeia poison+claws) and you have to know, if the skill is more skill (AD) or a spell (AP), to support it with right items. - Apprehending the function of bushes could be hard from the start. - Sometimes there are to many graphic elements in game that could be confusing. - If you want to buy any skin from game, you have to choose only from splash arts with no in-game screens. In-game model very often doesn´t resemble the splash art. Well, this is interesting. I know a lot of about sportbook software from this post. Thank you very much. You can find there lot's of free stuff like free Dota skins and many more! 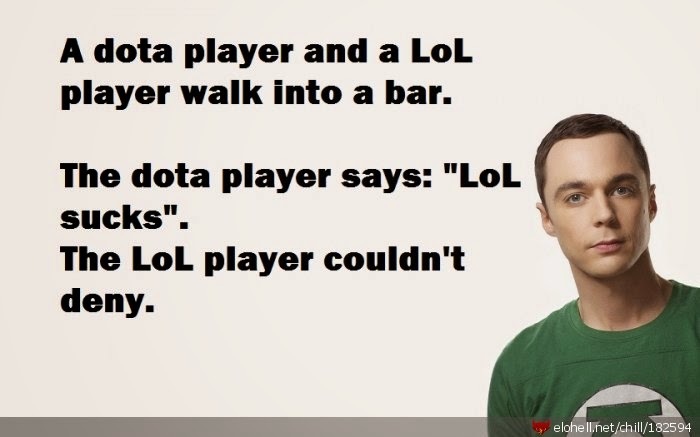 Dota 2 is one of my favorite games,Click here to get Free Dota 2 Items, NO DEPOSIT NEEDED.